Launch into April with one change each week...starting with breakfast! One more day until April. What do you want to achieve this month? What changes will you make? When making the decision to get fit and healthy most people launch into it with a massive amount of enthusiasm. They are excited and ready to make MASSIVE changes. Whilst it is lovely to be swept away on a tide of motivation, it’s this that causes most people give up within a matter of weeks (or even days). Big changes are overwhelming and quite often unrealistic. Before you know, it you’ve decided it’s too much and given up. Cue feeling like a big failure and vowing never to try again. The answer to this? Don’t try to change everything everything at once. In April, let’s concentrate on one change per week. There is always a lot of discussion about breakfasts among fitness and nutrition professionals. Some say that in terms of successful weight loss, it makes no difference if you eat it or not. 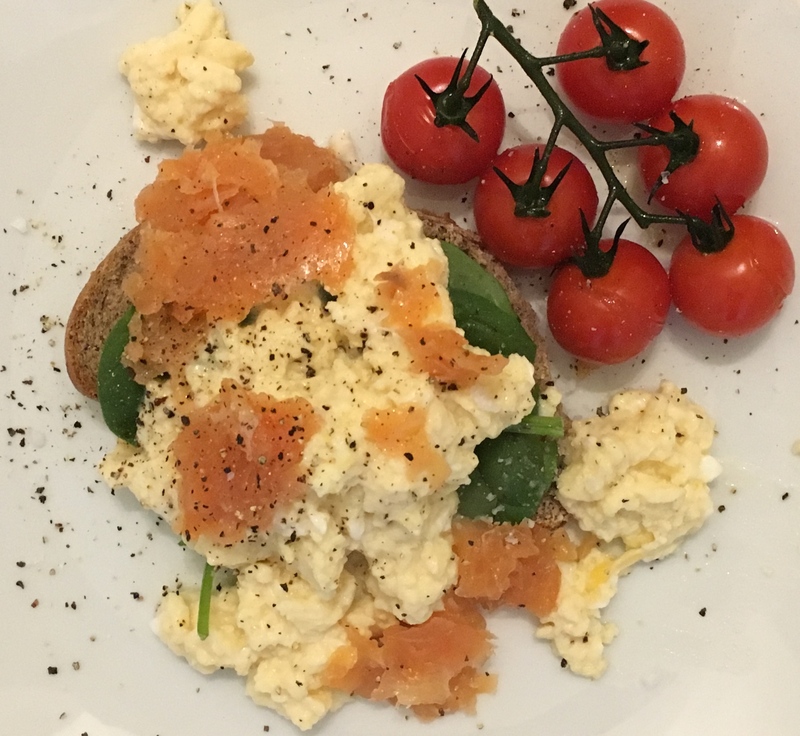 And whilst this might be fundamentally true – weight loss is down to calories in vs calories out, not the time of day you eat – I have found for 90% of my clients, eating a good breakfast has helped them successfully lose weight and, most importantly, keep it off long term. Most people who don’t eat breakfast overeat later on in the day. Your body needs food to give it energy. It makes sense that if you have no food for around 12 hours overnight and then don’t eat until lunchtime the following day, your body is going to be running on empty. Making healthy choices is so much harder if you’re super hungry. Make a plan. Sit down at the weekend and think about the week ahead. Plan what breakfasts you will have every day and then make sure you’ve got what you need. Do some batch cooking. There are loads of recipes for ‘grab and go’ breakfasts…healthy muffins, egg muffins, healthy banana bread. When you’ve got an hour or so, cook up a big batch. Pop them in the freezer and just take one out the night before so you are ready for morning. Embrace overnight oats. Get them ready (in less than 5 minutes) the night before and just take them with you in the morning. Enjoy a smoothie. Smoothies are amazing because you can whack a load of fruit and veg in, starting your day with maximum goodness. Plus, they can be made in minutes and taken with you on the go. Tomorrow is April 1st and because it is Easter Day, I’m going to give you a recipe that involves a little more effort. It is sooooo good and definitely worth it. Eggs, smoked salmon, roasted tomatoes and sourdough bread… guaranteed to leave your body feeling happy and full of energy. Click here to see the recipe and make sure you’ve got the ingredients ready for tomorrow! If you need some help getting your eating under control then my 8 week Kickstart Programme would be perfect for you. Loads of recipes, food diaries to keep you accountable and 24/7 support from me to make sure you stay on track. Check it out by popping over to my Kickstart page by clicking here!